Bio Erika R. Uribe is entering her thirteenth year of teaching and serves as the Associate Director at Moises V. Vela Middle School with Harlingen Consolidated Independent School District (Texas). 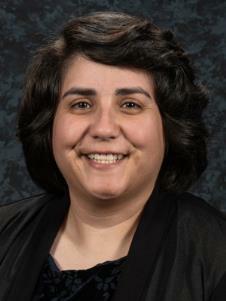 Prior to HCISD, Ms. Uribe served as Assistant Director at Roma High School (Roma, Texas) and taught at Roma ISD. A native of Harlingen, Texas, Ms. Uribe received a Bachelor’s of Music Education degree from the Baylor University School of Music where she studied trumpet, brass pedagogy, jazz education and conducting with Barry Hopper, Wiff Rudd, Alex Parker, and Kevin L. Sedatole. At Moises V. Vela Middle School, Ms. Uribe directs the Symphonic Band I, Symphonic Band II, Jazz I, Jazz II, and assists with the Honors Band. She also teaches beginner trumpet, euphonium, and saxophone classes. Bands under Ms. Uribe have received first division ratings at the Texas UIL Concert and Sight-Reading Evaluation and various festivals. Jazz bands under Ms. Uribe have earned top honors at the Texas A&M University Kingsville Jazz Festival and McAllen Jazz Festival.Ms. Uribe's professionally affiliations include the Texas Music Educators Association and the Texas Bandmasters Association.